The guide features both School and Higher Education Co-operative Entrepreneurship Programmes in different European countries selected out of the nearly 200 pre-identified initiatives. The document is available for download on the ECOOPE website. Santander, May 28 2018. 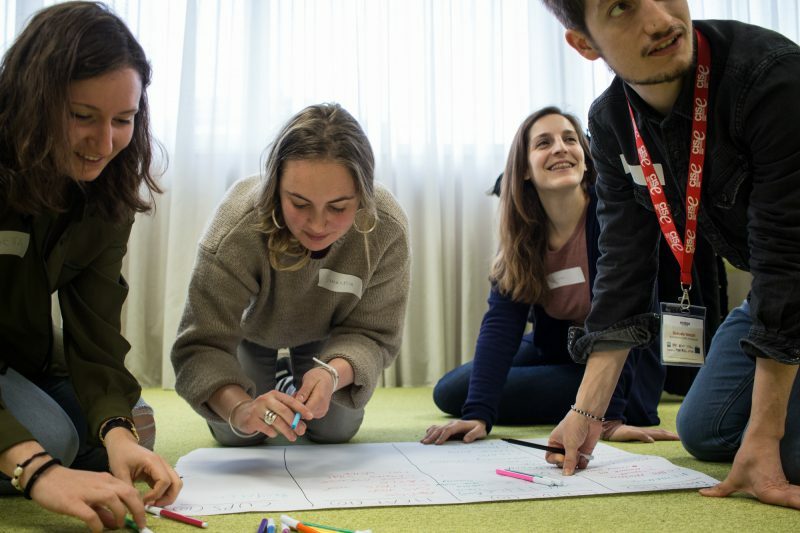 – The Co-operative Entrepreneurship Experience – ECOOPE – project, has just launched its good practice guide of Co-operative Entrepreneurship Education programmes, one of the main deliverables of the project. This document has been created by one of the partners of the ECOOPE Project, PEEP Portugal (Policy Experimentation and Evaluation Platform) by Christian Wolf and Dana T. Redford, and showcases innovative initiatives in the teaching of entrepreneurship through the co-operative business model to both secondary schools and Higher Education students. The good practice has taken into account nearly 200 pre-identified initiatives in Europe, out of which a more narrow selection of interview candidates was made following the selection methodology. Following the interviews, a final selection of 7 higher education and 6 school programs was made. The guidance document provides simple and pragmatic examples of different successful programmes that intend to inspire and be useful to teachers and Professors, especially those dealing with Entrepreneurship, business creation and management, as well as co-operatives. ECOOPE Good Practice Guide can be downloaded HERE. 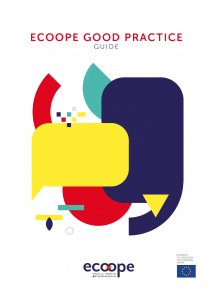 Hard copies of the guide will be available during the project’s final dissemination event next June in Santander, Spain, which still accepts registrations. The ECOOPE Project, co-financed by the European Union, has a budget of over €300,000 and was launched in May 2017 to improve European Secondary and Higher Education students’ employability by providing them with the entrepreneurial knowledge and skills for them to be able to create cooperatives or, alternatively, incorporate their initiatives in already-existing co-ops. Together with the University of Cantabria, CISE (Santander International Entrepreneurship Centre) and Valnalón in Spain, the following European institutions are part of the consortium: LUT Lappeenranta University of Technology (Finland), EURICSE (Italy), Porto University and PEEP (Portugal), and Co-operative College UK (United Kingdom).